The main fear for homeowners whose homes flooded in August is “substantial damage.” If the Federal Emergency Management Agency decides your home was “substantially damaged” in the flood, you may have to raise your slab above the base flood elevation before you can obtain a building permit. So how is substantial damage determined? Honestly, it continues to be a mystery. If you Google “how does FEMA determine substantial damage,” you’ll find a whole host of website information that, like much of the information disseminated by the federal government, is too complicated for most people to understand. Each flooded structure is inspected by a FEMA representative, who estimates damage for various building components, including foundation, structure and plumbing, among many others. These categories are rated as follows: damaged from zero to 25%; 25% to 50%; 50% to 75%; and over 75%. Using the component ratings, FEMA—based on a formula only it knows—spits out a calculation of your home or building’s damage. FEMA compiles a database of damaged homes and provides it to each municipal building department to use in determining whether to issue a permit with or without raising the slab elevation. Every municipality has building codes that require a certain slab elevation. In most cases, it is one or two feet above the 100-year base flood elevation. Let’s a consider a case study. 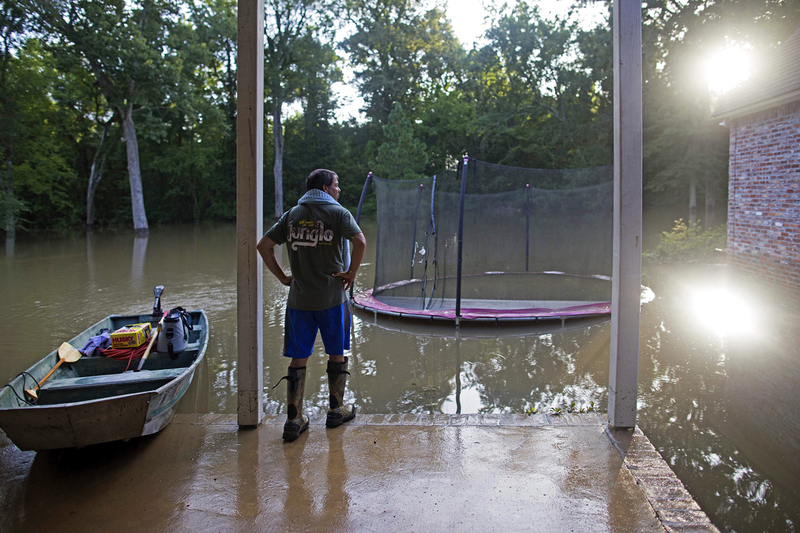 A home in Sherwood Forest is situated in the flood zone and took on four feet of water. The home was constructed in 1970 and has never flooded, but its slab elevation is a foot below the 100-year base flood elevation. Let’s say FEMA has determined that it was 65% damaged. In this case, the house’s slab would have to be raised two feet to get a building permit. The needed repairs would most likely be cost prohibitive, rendering the home almost worthless. But because the final decision lies with the municipality, there is hope. The East Baton Rouge Parish permit office has obtained sales information from the Greater Baton Rouge Association of Realtors in order to determine its own damage estimates. So in the Sherwood Forest example, let’s say the homeowner requests a permit with a contractor’s repair cost estimate of $75,000. While FEMA estimates the damage is 65%, the GBRAR figures indicate the home is worth $200,000, meaning the contractor’s estimate shows the damage is more like 37.5%, not 65%. That allows the municipality to issue a permit without requiring the slab be elevated by two feet. The municipality makes the call to issue a permit, not FEMA. It is also possible in Livingston Parish to present an appraisal, or even a market analysis from a broker, to support the value of the home. I am unsure if you can do the same thing in East Baton Rouge or Ascension parishes, but the odds are it’s possible. Most of the folks I have talked to who have applied for permits indicate that local municipalities have worked hard to make the process as painless as possible. EBR’s permit office and Department of Public Works should be commended for getting additional data from GBRAR to make informed decisions about home values and flood damage. As I’ve said before, there’s no reason to panic. I think a very small percentage of homes will be rendered worthless by a required slab elevation increase. I’m compiling information for next month’s column, which will tackle flood insurance and how much of a joy—or nightmare—dealing with adjusters and insurance companies has been. I’d love to hear your stories. Email them to me at tcook@cookmoore.com.